5 Powerhouse Medicinal Mushrooms for Radiant Health - Radiant Reality | Nutrition. Healing Arts. Inspired Living. Growing up in the woods of Northern California I have had the great privilege of experiencing mushrooms growing in the wild and as a result I developed a deep appreciation for these intelligent life forms. Despite the fact that mushrooms have been used for thousands of years both as food and as medicine, mushrooms have an illusive nature perhaps due to the powerful qualities of medicine that they carry as well as the way they grow and exist in nature. As an essential component of the “soil food web”, fungi break down decomposing matter to provide nourishment for organisms in the soil biome to feed on. 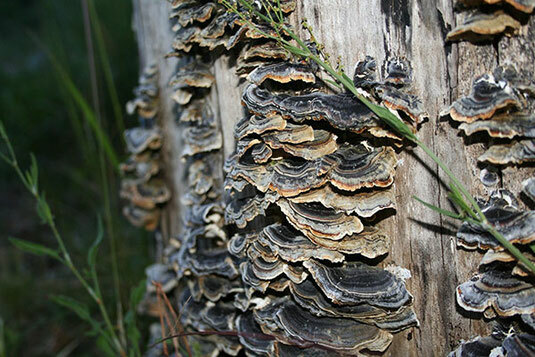 The balance fungi brings to an ecosystem is akin to how its medicinal qualities work in the human body. When used for enhancing the health of the body, medicinal mushrooms are best known for their immunomodulating, anti-cancer, anti-inflammatory, antioxidant, antibacterial and antiviral properties. 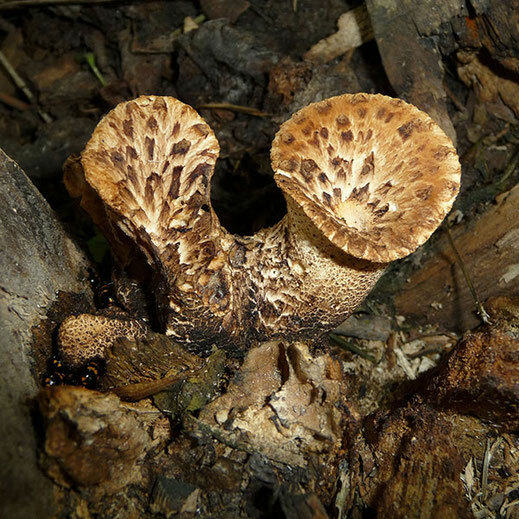 Despite their vegetal appearance, fungi are closer to us in origin than you might think, belonging to neither the plant nor the animal kingdom, they actually share more DNA with animals than they do with plants. It is interesting to note that many of the pathogenic organisms (viruses, bacteria and yeasts) that attack mushrooms have an affinity for humans as well. Given the fact that mushrooms have been around for millions of years longer than humans, it would make sense that the mechanisms that mushrooms have developed internally may also greatly benefit humans. And as far as modern medicine is concerned: Penicillin, Streptomycin and Tetracycline all come from fungal extracts. What are some of the benefits of taking medicinal mushrooms? It is interesting to note that when using medicinal mushrooms, it is usually recommended that it can be therapeutically more effective to use a blend of several mushroom species together because each mushroom has its own unique immune modulating agents. When used together it creates a synergistic effect and can create a stronger effect. For example, taking multiple mushroom strains can make it harder for pathogens to adapt and become resistant. It is also important to know the source of your mushrooms. Using organically grown mushrooms from a reputable source is vitally important, as mushrooms can contain heavy metals and contaminants if grown in an environment containing these elements. Dubbed “the mushroom of immortality”, Reishi is known to have extraordinary health-giving properties. Namely, its antioxidant actions are most widely researched by cancer researchers who have noted that Reishi mushrooms stimulate cells in the immune system. One of its compounds responsible for this action is ganodermic acid (a triterpenoid) used to treat various cancers such as lung cancer and leukemia among others. reduces prostate urinary symptoms in men. Known by the Siberians as the “Gift from God”, Chaga is famous for its adaptogenic properties. It also has the highest level of superoxide dismutase (SOD) found in any food or herb in the world. SOD is an enzyme that repairs cells and reduces the damage done to them by superoxide, the most common free radical in the world. Chaga also contains Betulinic acid, which is cytotoxic and triggers apoptosis through a direct effect on the mitochondria of cancer cells. Chaga is also rich in beta glucans, known for its immunomodulating activities. 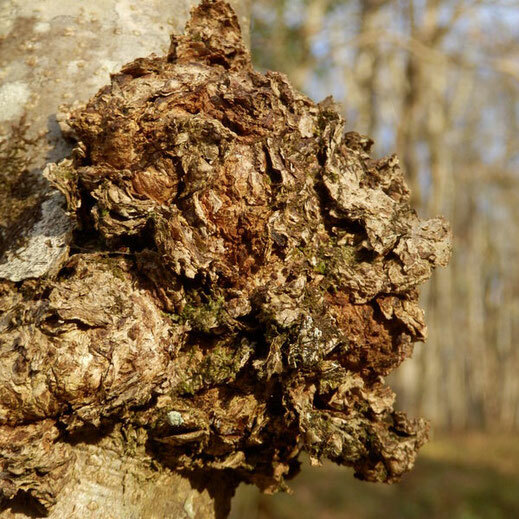 Chaga promotes and protects the functions of the liver and kills or inhibits growth or replication of bacteria by destroying or suppressing the reproductive capacity of the organism. contains an abundance of Beta D Glucans which helps balance the response of the body’s immune system. It slows the immune system down when it’s overreactive and boosts it when its low. Another mushroom with a telling name, this “elixir of life”, has been extensively researched for its anticancer and immune boosting properties. Shitake contains a powerful protein called Lentinan which has been found to have cancer preventing properties. Shitake also contains ergothioneine, an antioxidant that inhibits oxidative stress. Shitake provides copper, pantothenic acid and is rich in selenium. 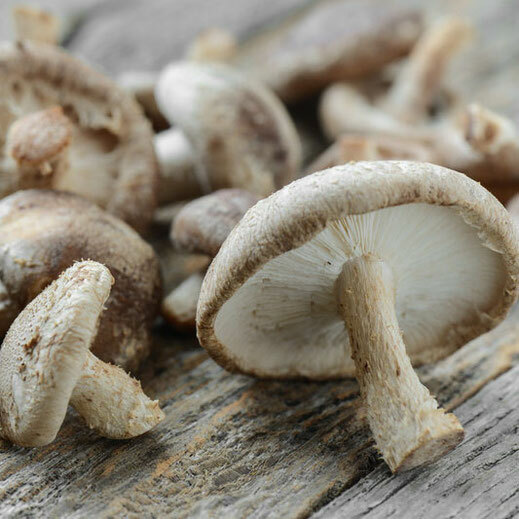 It also provides riboflavin, niacin, zinc and manganese as well as vitamins A, C, D, and E. Shitake also contains a substance called eritadenine, which encourages body tissues to absorb cholesterol and lower the amount circulating in the blood. Dubbed “natures nutrient for your neurons” by Paul Stamets, this mushroom has long cascading tendrils that have been long used in Chinese Medicine to boost the immune, nervous and digestive system. 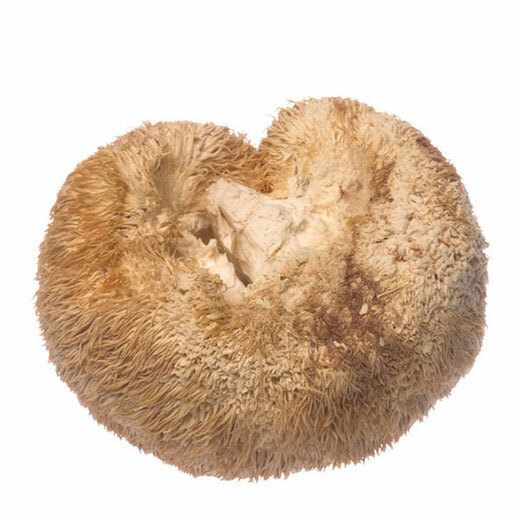 Studies have found lion’s mane to reduce intestinal inflammation and protect the stomach from further damage by gastric ulcers. Other research has shown lion’s mane helps repair damaged nerves, improves memory and stimulates the production of antioxidants like SOD and glutathione. Lions mane is probably best known for its ability to stimulate the synthesis of nerve growth factor (NGF). Two of the substances linked to neuron health that make up lions mane are called hericenones and erinacines. These substances promotes NFG throughout the body benefiting the entire nervous system. This widely studied mushroom has been proven to strengthen the immune system, particularly by supporting the T helper cells. T helper cells are responsible for essentially telling the other cells in the immune system what to do and to what degree and when to stop. In cancer, rogue cells often secrete compounds known as cytokines that give false signals telling immune cells to stop working. 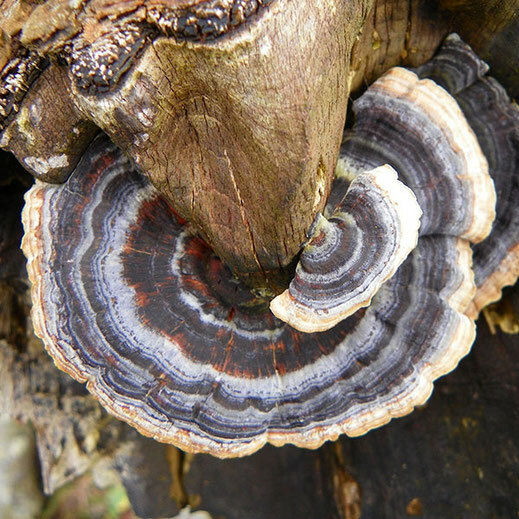 Turkey tail mushroom has been studied extensively showing that it can help rebuild the immune system in people with a wide range of cancers. It has been extensively researched in regards to breast cancer. Studies have shown that when turkey tail is taken together with mainstream cancer therapies it can lengthen a persons lifespan significantly. Turkey tail also reduces the susceptibility to infections and other negative effects that come with having a suppressed immune system. great article Tennee. beautiful photos and very informative.